Today (31 January 2019) is the Self Assessment tax deadline for filing your return for the 2017/18 tax year. Fail to meet it and you'll face a £100 late-payment fine. 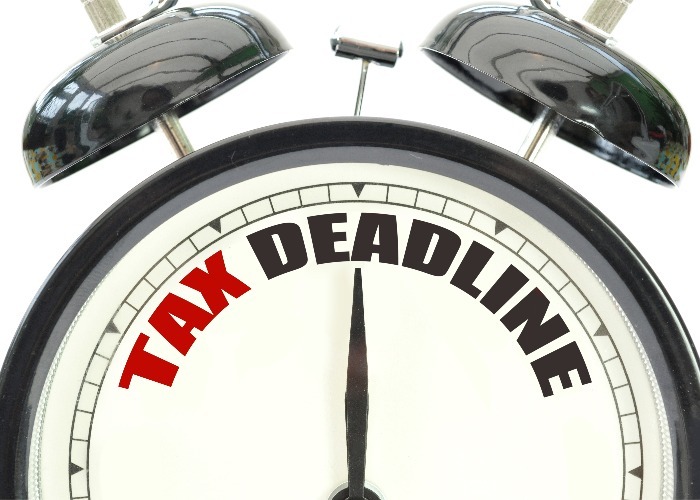 We're fast approaching the deadline for filling you online Self Assessment tax return. If you haven’t filed yours yet, you’re not alone: HMRC data shows two million people left it to the last two days before deadline last year. Ideally, you will already have registered to use HMRC’s online tax return service by now and are ready to start filling in forms. If not, this isn't an option as the Government Gateway PIN verification system can take up to 18 to set up. Thankfully, you can get around this by signing up instead to the new Gov.UK Verify system, which takes 15 minutes to set up and will enable you to submit your tax form in time. Learn more about the Verify system on this Government web page. Once you are set up, it’s time to tackle that dreaded return you’ve been putting off. Here are some top tips to help make the process as painless as possible. If you do not have exact figures, put in estimates. You must, however, make the estimates as accurate as possible, and clarify on the form that the figures are estimates and not exact. You will still need to supply exact figures later, but at least estimates will do for now. Focus on the most relevant information. If you don't have a P60 form from your employer, your March payslip will have much of the same information. Earlier payslips can be ignored. Your bank statements can also tell you much of what you need to know – how much you paid in pension contributions, charitable donations and so on. Don't forget to declare the interest you received from your bank. Your March statement will often show how much interest you received over the year, so that's the most important one to look at. Similarly, you must declare the dividends you received from shares or similar investments. This rule applies whether you received the dividends as cash or they were reinvested. If you don't have a personalised dividend certificate, the fund manager or company will usually list the dividend paid per share on its website. You can multiply that by the current number of shares you own to work out the dividend you received. Finally, remember that the internet and the phone are your friends. If you can't find the relevant paper statements, you may be able to get the info you need over the phone or online. Remember that you face an automatic £100 fine if you miss the deadline. There are plenty of help sheets on the Self Assessment section of the Gov.uk website, or you can call the helpline on 0300 200 3310. You'll need your Unique Taxpayer Reference (UTR) number to hand when calling. You could also try getting in touch on Twitter anytime between 8am and 10pm. However, please make sure you don't post any personal details as criminals have been known to use these. 6. Watch out for scams! As a final point, be extremely careful who you hand your details over. HMRC will occasionally contact you by email or even text (depending on which details you've given them), for example, to remind you to fill out your tax form. However, the taxman will never contact you via email or phone/text to tell you about a refund. This will always be done by post. Have a read of our guide to spotting tax scams in order to stay one step ahead of the crooks.